Harry and Meghan: What happens at Christmas with the royals? 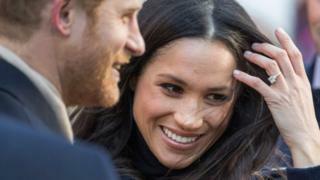 Meghan Markle, Prince Harry's fiancee, will spend Christmas with her future in-laws, it has been confirmed. Ms Markle will join the Royal Family at Sandringham, the Queen's private estate in Norfolk. But what can she expect when rubbing shoulders with the royals at Christmas time? In keeping with their German heritage, the Royal Family start their festive celebrations on Christmas Eve - and this also means that on Christmas Day, the focus is firmly on church and duty, namely the Queen's Speech. They meet on Christmas Eve in the White Drawing Room at Sandringham, the Queen's residence in Norfolk, to exchange presents and finish decorating their 20ft tree. There they enjoy a tea of scones, sandwiches and cakes before retiring to dress for a formal dinner. Celebrations continue until late and in the morning, and each royal wakes to a stocking of small gifts and fruit at the end of their beds. "You arrive when told to arrive... There are quite a lot of different dresses required - change for church, change for dinner." 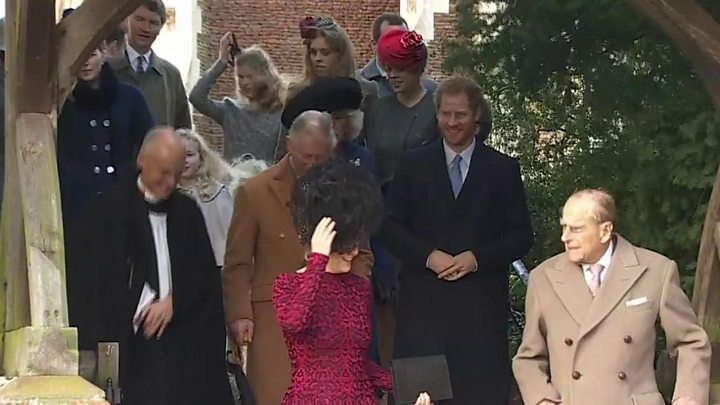 On Christmas morning, the royals head to a service at St Mary Magdalene Church in the village of Sandringham - all being well, everyone will make it, but last year the Queen missed out because of a heavy cold. After the service, they usually spend some time meeting well-wishers gathered outside the chapel, before returning to the estate for a traditional turkey lunch. Then, like millions up and down the country, the family settle down to watch television. What to get the Queen for Christmas? We all know someone who appears to have everything, but the Queen has several palaces to her name. Luckily for her family, she is said to prefer practical gifts over anything extravagant. Last Christmas, the Duchess of Cambridge expressed her anxiety about what to buy her grandmother-in-law. "I thought 'I'll make her something,'" she said, "which could have gone horribly wrong." "But I decided to make my granny's recipe of chutney. "I was slightly worried about it, but I noticed the next day that it was on the table." What should Meghan look out for? It's very rare for a fiancée to spend Christmas with the Royal Family, Kate Williams points out. "What that shows is firstly how serious Harry is about her… but also how determined she is to make her life in Britain now," she says. It'll certainly be a very different Christmas for Ms Markle, with a couple of unusual traditions in particular. Before gifts are given on Christmas Eve, they are placed on a white linen-covered trestle table, with cards marking exactly where each person's should go. And at the dinner, Ms Markle will be separated from Prince Harry when, sometime after 10pm, the Queen signals for the corgis to be led out and the ladies to adjourn, leaving the Duke of Edinburgh to serve port or brandy to the men. Finally, like the rest of the country Ms Markle will relax on Christmas afternoon by watching the Queen's Speech. Unlike the rest of the country, though, she'll be watching it with the Queen herself.